Trans Pond: Can you see Zugspitze? 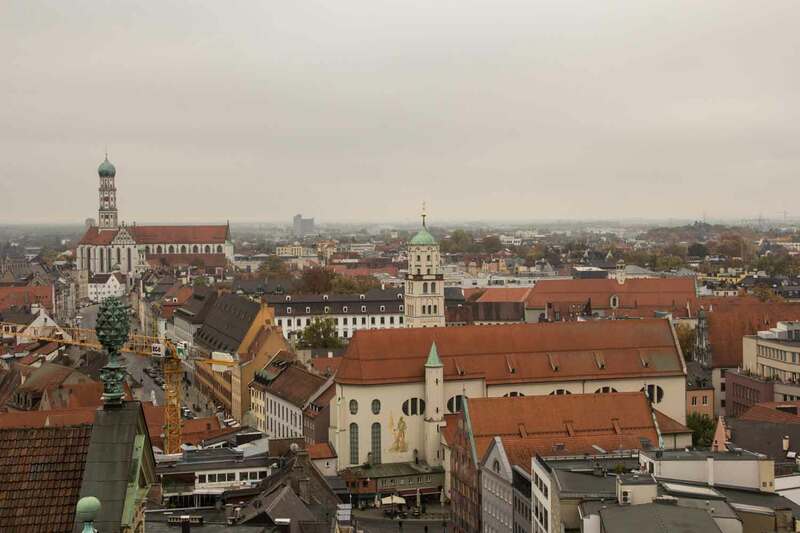 We climbed the Perlach tower in Augsburg. And then you can see Zugspitze. Well, you can see it in good weather, which we did not have. 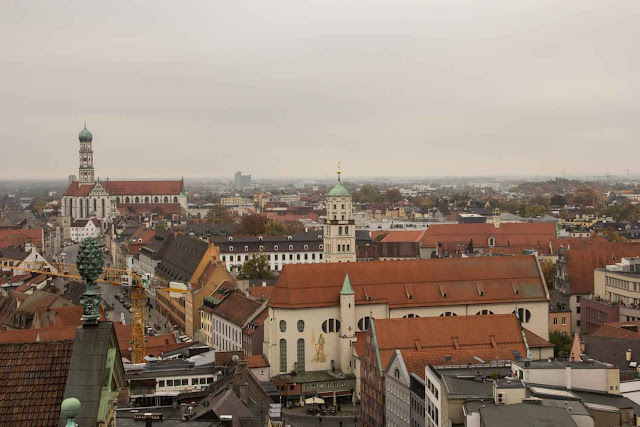 We then did take a good look at the city and imagined the missing alpine panorama in the background.